is coming to Watershed in Bristol on 12 & 13 July. With just 10 days to go to till our Call for Papers closes, have you already submitted your proposals to give a talk, run a practical workshop or design your own experiential session? The two-day free event will bring together academics and community partners working on a wide range of Connected Communities projects and Urban Living Pilots. 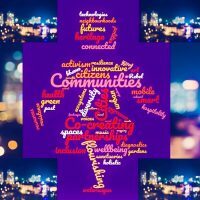 With a particular focus on ‘Co-creating Cities and Communities’, it will examine the ways in which innovative research, communal engagement and collaborative action can re-build, re-frame and re-energise the city, with community interests put firmly at the centre. For further information about the conference and how to submit your proposals, please read the attached Call for Papers and visit our website.